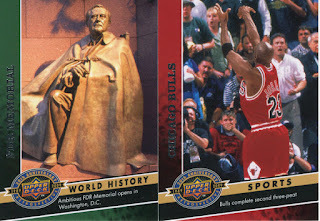 Most of the blogosphere seems to be obsessed with the 2009 Allen & Ginter and while that has totally passed me (us) by here we are all about the OPC set. I just can't get enough of it in every sense of the word. I have bought more of this product than I will even admit to myself much less all of you for fear of being punched for sheer stupidity. However, I have had a blast working on this set and I am inching closer by the day and still have 3 Target coupons left, 1 blaster, incoming trades, and a 1 way ticket to the looney bin will surely follow. I won't say that I am very, very tempted to finish the set in black parallels as well. I think it will look cool because I plan on putting this set into a binder, which I will pick up at the show in August. I think we should orchestrate a blog meeting there, I am planning on going Friday when they first open because I am silly. I do have quite a few black doubles if anyone would be willing to trade with me for ones I need. Anyway, some of you expressed interest in seeing my blaster break so here it is (I am writing this while holding a pile of Biology notes I should be studying). 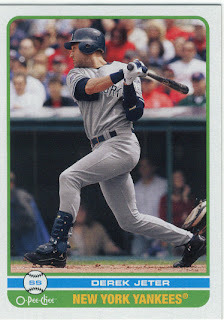 It only took me roughly 9870 packs to finally get #200 Derek Jeter. 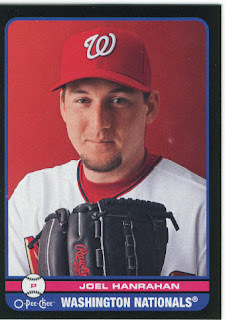 Now if I could come across one for my Jeter binder that would be sweet. 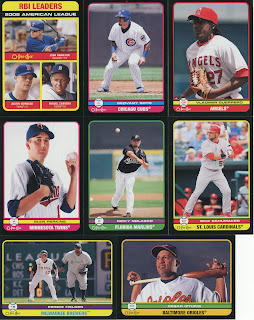 Here are the highlights, though I didn't scan all the black parallels. I ended up getting 26 base cards that I needed bringing my total to 447/600, not including cards Sooz has for me and some that Stale Gum has for me. Anyone that has some for trade, please check my want list and let me know which ones you have available. I have plenty of doubles for trade as well. Back to the books I go (somewhat reluctantly). I love that Prince card. He looks huge next to that poor unsuspecting Pirate. I am really debating about putting this set together. I've seen so many packs that the cards have printing errors. But I really like the set design. Upper Deck owes you a hobby box or two. I have liked some of your OPC posts enough that I purchased 3 hobby boxes to hopefully get me to about 100 cards of completing the white border base set. It'll be awhile before I get around to busting them because I'm working on other wax opening my customary pack a night, but when I get there I'll look at your want list and see if I can trade with you to help me get closer to finishing my base set.